Nephilim Magazine is an open theme, multi-genre, beauty, fashion, art, and pop/geek culture publication launched on Facebook as a web blog in late November of 2017 before jumping to print (via MagCloud) in January of 2018. It is primarily run by its Editor in Chief, Amelia D. Wysocki who also serves as publication manager, editorial designer, and talent scout. Amelia is assisted by a dedicated team made up of creative talent from all over the world, some of which have achieved celebrity-level success on their own. 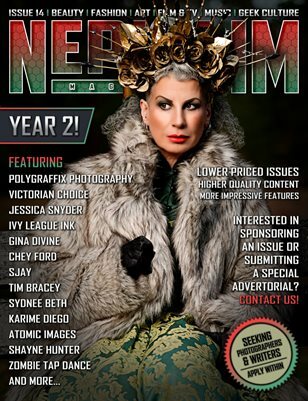 For more info about Nephilim Magazine and our team, visit our website.